Systems Engineer with 30 years of professional experience: 20 years in information technology management and 10 years in internal audit. Operating, administrative and management positions in Energy companies – Oil and Gas, Education and Solidarity. University teacher. Master’s Degree in Design and Management of Technological Projects. Specialization in Systems Auditing and Systems Administration Technologist. Diploma in Strategic Internal Control, Diploma in Strategic Management. Currently, Coordinator of Cybersecurity in Ecopetrol SA, with recognition of excellence 2007 – 2011. 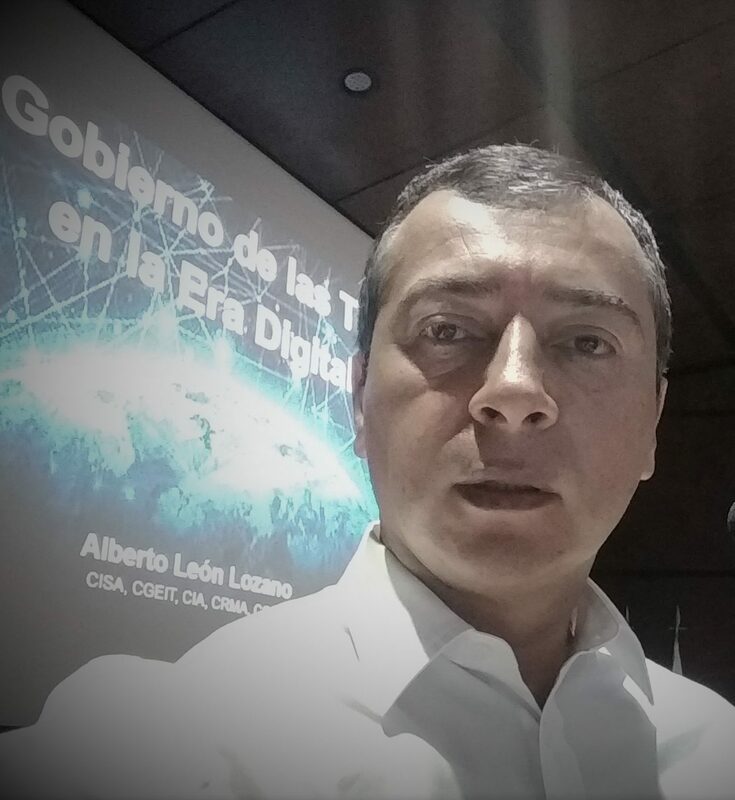 I presented the Implementation Study Case COBIT in Ecopetrol for the governance, Risk and Compliance in IT, published by ISACA in June 2010 and updated in 2014 with COBIT 5 approach. Instructor licensed by ISACA in 2012 and 2013, for the Fundamentals and Implementation courses of COBIT 4.1 and Introduction to COBIT 5. Since 2012, he teaches at the Universidad del Norte de Barranquilla in the Specializations in Information Technology Management and Production and Operations Management. Since 2014, at the Universidad Pontificia Bolivariana de Bucaramanga in the Specialization in IT Management. Since 2015, at the Externado de Colombia University in Bogotá in the Specialization in Computer Risk Management.